As requested by the Department of Education, we conducted a survey to find out parental feelings on uniforms. The results were as follows. 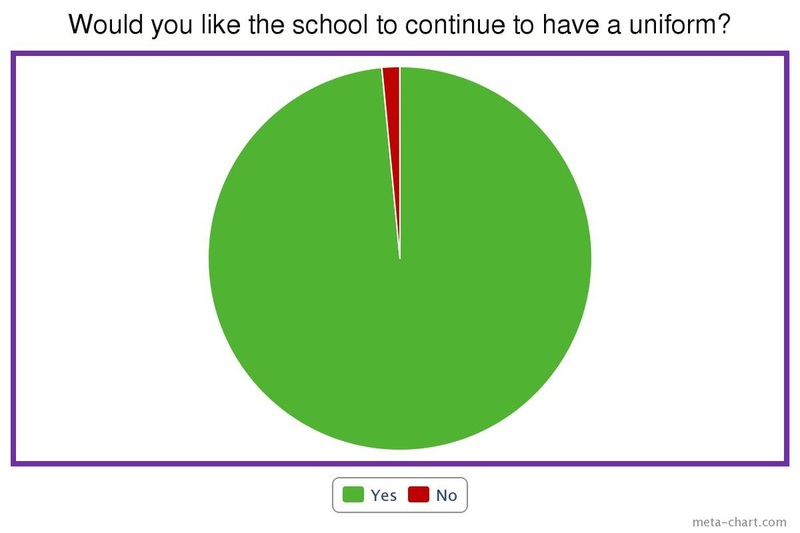 98.5% of parents wish to have a uniform. 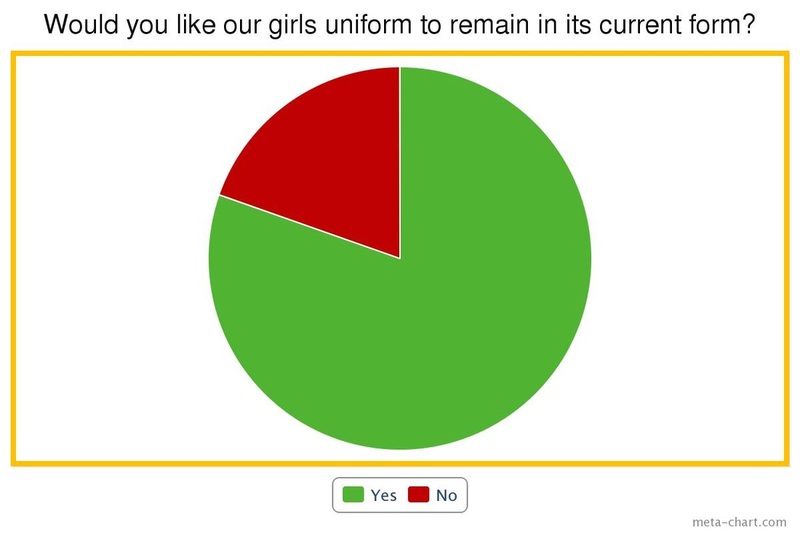 80.4% want the girls uniform to remain in its current form. 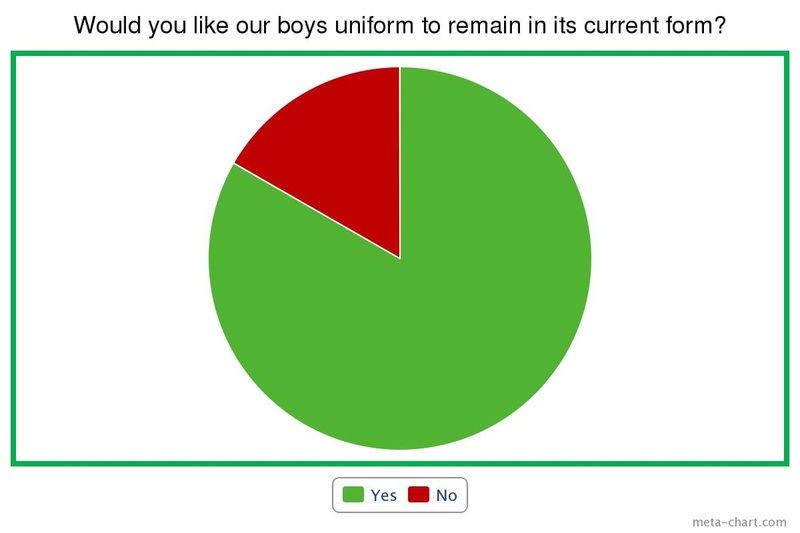 83.3% want the boys uniform to remain in its current form and 81.1% want the tracksuit to remain in its current form. Many thanks to all who took part in the survey.